Regular visitors or followers of Siren Diving social media know that we love diving. A drift diving along the North of Lembongan. A manta ray dive on the South coast of Penida. We’re never happier than when we are in underwater. Enjoyment and safety are always our main concerns and so anything that can add to experience is welcome. As recreational diving becomes more popular, the cost of dive equipment drops. 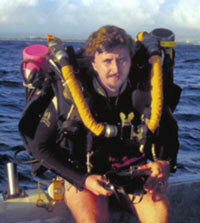 We notice more of our dive buddies having their own dive gear than ever before. Dive computers are certainly towards the top of that list. With the fashion conscious diver able to buy a wristwatch style computer that can be worn above and below water without looking like an extra from Star Trek. Before your eyes glaze over at the prospect of reading some decompression theory, it’s really not that bad! This stuff affects your body every time you go diving. Surely it’s worth understanding it a little bit? Pay attention at the back, I’ll be asking questions later. With all the features manufacturers now cram into such a small packages, instruction manuals have started to look like encyclopaedias. With more abbreviations than you can shake a snorkel at, we thought it would be nice to explain. Although dual gas and Nitrox are self explanatory, the deep stop preference seems to have slipped into a lot of units configuration. Some even have them enabled by default. So what are deep stops? Should you use them? and how do they work? I can’t remember the first computer I bought that had the ‘new’ feature called Deep Stops on it. I do remember the dive community being rather split over the whether they were necessary or not. This is still the case, with some agencies recommending them and others saying we need more data. 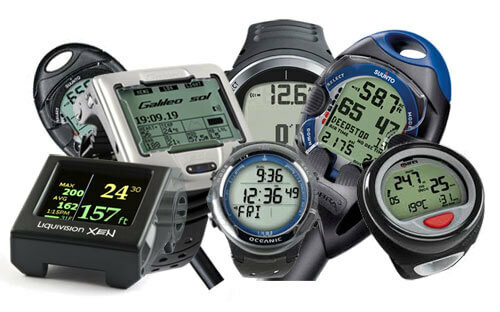 Manufacturers including Suunto, Cressi, Tusa and Mares all now have the function available on a range of their dive computers. We are aiming to explain why and what your computer screen is showing during the ascent. We are only talking about non stop, recreational diving. All dive times should be well within recreational diving limits. If you reduce the stresses on your body by allowing gas exchange in the tissues to take place gradually, you will feel less tired after a dive and reduce the chances of DCS. Where did deep stops come from? Listen to any post dive chatter and many divers will comment on how tired they are after doing a couple of dives in a day. It was this symptom that led Richard Pyle, (a true fish nerd and marine biologist), to look into it a little further to see if he could find a reason. With most of his dives being below 50 meters (180 feet), he noticed that it was only some dives that he was feeling extra tired when surfacing. He realised that when he made an ascend after catching a specimen fish, he would stop few a few minutes, at about half the maximum depth. This would allow the fish swim bladders to equalise and so they would survive. If he didn’t catch any specimens, then he didn’t need to stop and only performed the standard decompression or safety stop. It was these unsuccessful specimen dives that were leaving him feeling fatigued. Taking this information forward, he then started making ‘deep stops’ on all his dives whether successful or otherwise. He noticed that he wasn’t feeling so tired after the dives. Psychosomatic or not, he shared his experience with his diving buddies and the technical diving community started to integrate deep stops into part of their planning. As mentioned before, we are talking about non stop recreational diving. Let’s take a look at a couple of dives to show how this applies to us and what our computers tell us. If you diving at the entry level of most agencies (Open Water), then you are limited to 18 meters and deep stops aren’t required. It is recommended that you perform a safety stop at 5 meters for 3 minutes in any case. If you are diving to a depth of 20 meters (65 feet) or greater, then a deep stop for a minute or two at half the maximum depth is suggested. In this case 11 meters. 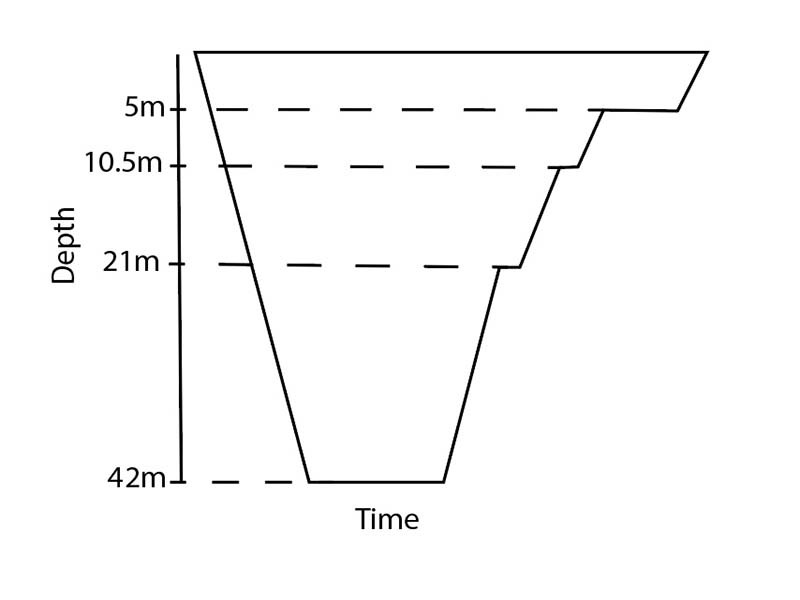 If you dive to 42 meters, then a first deep stop at 21 meters (half the depth) and a second at 10.5 meters (half the remaining depth) is suggested along with the 3 minutes at 5 meters. 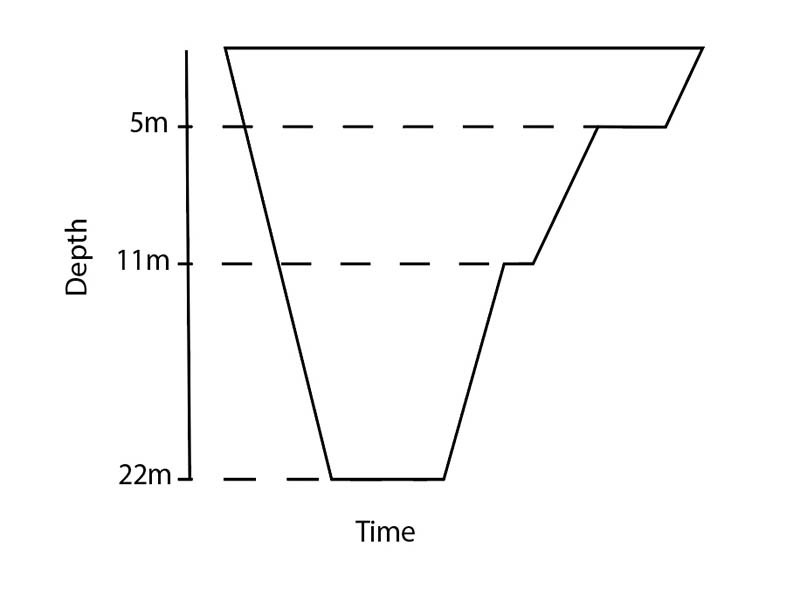 It’s important to remember that these deep stop times must be built into your normal dive planning and aren’t meant to extend you bottom time or be used as decompression stops. Hopefully, this have given you a bit of extra diving knowledge and trivia to share with your buddies at your apres-dive hangout… Until next time, Be safe, dive smart and be a Siren! For more information, check out these articles from DAN or DiveIn. Note : In our tests, certain models of Suunto and Tusa computers didn’t ask us to perform a 5 meter stop when a deep stop had been performed. Later models by the same manufacturer did require the 5 meter stop. The understanding of decompression theory is expanding all the time but by diving well within limits you’re being as safe as you can.